This entry was posted in Mental Health, Recovery & Support and tagged Co-Occurring Disorder, Managing Symptoms, Preventing Misuse, Treatment on July 28, 2016 by Baxter Ekern. Contributed by Dr. SooMi Lee-Samuel, MD, MA, Medical Director of Timberline Knolls. Whether you have struggled with alcohol addiction or have abused a substance of any kind, you have likely encountered various challenges in your own recovery journey. The truth of the matter is that substance use disorder (SUD) arises from many complex factors – including several things that are out of your control, such as your genetic makeup. Addictions are powerful illnesses that affect both the body and mind, and for this reason, treatment approaches must be comprehensive enough to address the many different facets involved. In many situations, addiction will occur alongside another form of mental illness, such as an eating disorder, mood disorder or personality disorder. This is known as a co-occurring disorder, and the presence of multiple mental illnesses can increase the intricacies involved with recovery. However, this does not mean that long-term recovery is impossible to attain. When recovering from co-occurring disorders, it is easy to have a linear perspective. It seems logical that recovery proceeds in a step-wise fashion, beginning with a detox phase and ending in some form of outpatient care. However, the reality is that the recovery journey involves many ups and downs – low points, heightening achievements, and everything in between. This type of progression can be exhausting, especially if you do not have a long-term perspective toward your recovery. Recovery from addiction and substance abuse often occurs through many levels of care for treatment, including inpatient care, residential treatment, and intensive outpatient support. Some individuals may find themselves doing well and being able to step down towards a less acute level of treatment, only to find that a higher level of care is needed once again after suffering a relapse episode. Each individual has a unique journey toward recovery, demonstrating that there is no single right way for achieving sobriety and long-lasting lifestyle changes. Relapse episodes are commonly experienced in addition recovery, though these circumstances can feel like tremendous setbacks in your own recovery journey. If you have experienced a relapse – which can be defined as a return to addiction behaviors after a period of abstinence and/or improvement – know that this does not mean the end of your journey towards recovery. While you may feel as if everything you have worked hard for has unraveled in the decision to use drugs or alcohol again, you can choose to make the next best decision that will get you back toward a life of freedom and healing. Whether you have suffered one relapse or multiple episodes, it is never too late to return to the pathway that leads you to sobriety and recovery. SUD is a chronic disease, and in order to be successful in recovery, it is important to understand that perseverance and commitment to the process itself is essential for the long term. While it can be discouraging to see recovery as a lifelong effort, it is the answer for finding freedom from your addiction and learning how to truly thrive in life. In the face of co-occurring mental disorders, vigilance and dedication to your treatment plan is foundational for long-term recovery. This includes carrying out the daily, tangible steps that are often necessary for emotional, mental, physical, spiritual and psychological soundness and well-being. These practical and daily steps all contribute to an overall greater effort that helps achieve lifelong recovery. While there is no easy way out, the journey itself can be empowering, helping you find hope, restoration and healing from even the most vicious co-occurring disorders, one practical step at a time. 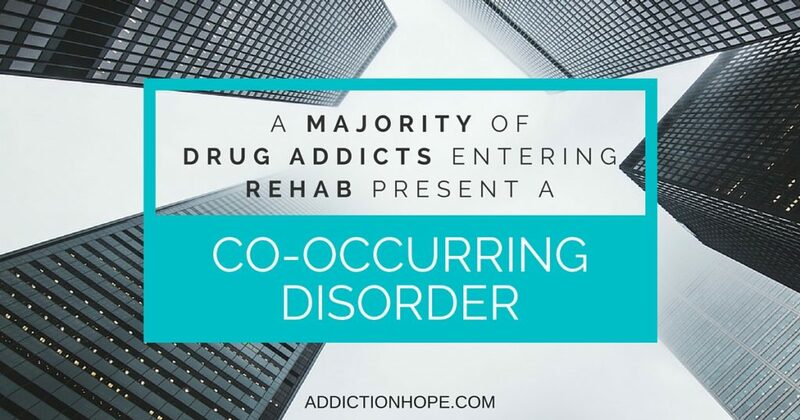 Because of the complexities involved with co-occurring disorders, seeking out comprehensive and professional treatment is necessary for long-term recovery. You may be committing to a lifelong effort in the recovery process, but you do not have to go through the journey alone. Working alongside specialists can give you the foundation and tools you need to establish recovery for years to come. Consider working with a treatment center that specializes in co-occurring disorders in order to effectively address and treat both an addiction and other mental health issues that may be present. 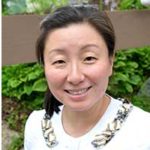 Dr. SooMi Lee-Samuel is board certified in Adult Psychiatry, and Child and Adolescent Psychiatry. As a medical director, she manages medications and serves as an important member and leader of the multi-disciplinary treatment teams at Timberline Knolls Residential Treatment Center in Lemont, Illinois. She works collaboratively with primary/family therapists, expressive therapists, nutritionists and other treatment team members, and assists in administrative duties on campus.